The world as we know it is rapidly changing and globalization is playing a large role in this transformation. Trade and communication are more accessible than ever, and as a result there has been a massive spike in the utilization of e-commerce for companies both large and small. Essentially, the internet has enabled the emergence of a massive marketplace. Although the e-commerce boom started on desktop and laptop PCs, more people access the internet on their phone now. Consequently, mobile commerce is taking the lead and influencing companies to hone in on their mobile user experience. In this development process, there are two main factors to consider. When navigating our favorite shopping apps, it’s easy to dismiss the amount of work that goes into enhancing our experience as a user. However, strong design has proven to be critical in determining the fate of these companies’ success. Microsoft conducted a study that showed people’s average attention span was reduced from 12 seconds in 2000 to 8 seconds in 2015 – a mark that apparently puts us lower than a Goldfish’s attention span of 9 seconds. Our decreased attention is one of many products of the smartphone generation, highlighting a need for companies to both capture and retain a user’s attention within the first seconds of their interaction. Some apps combat this predicament by overloading the homepage with tons of images, text blocks, videos and push notifications. However, this method has proven to be flawed and often scares users away. It’s important to have a simplified interface that puts the product before the design. A mobile, e-commerce user interface design should highlight the commercial offer. In the mobile commerce design process, simple should not be mistaken for primitive. It’s imperative that companies develop a design aesthetic that matches well with their products. Researching retail competitors’ existing mobile apps can provide very helpful insight both as design inspiration and evaluation. Navigating through a competing retailer’s app is an easy way to find flaws that you might not have noticed and can avoid in the future. High quality graphics, images and readability of text are imperative within the mobile app design. A user’s attention is delicate and these design factors can be triggers in losing that valuable focus. For example, an easy UX improvement is to make the product images zoomable. This way, a user can closely examine the product they’re interested in and have more confidence in eventually making a purchase. Perhaps the biggest villain that e-commerce mobile apps face is the rate of cart abandonment. According to research from Barilliance, there is a clear correlation between small screens and increased cart abandonment. In 2015, the average abandonment rate for desktop was 73.07% whereas the mobile version was 85.65%. This trend is not only continuing but expanding with mobile cart abandonment outpacing desktop by 16% in 2017. Designers have tackled this issue with a variety of solutions, most of which are alluded to above. A large number of abandonments are caused by having too much friction between the customer and the buy button. According to a study from the Baymard institute, nearly 70% of online shoppers abandon their cart costing e-commerce merchants a fortune through items left on the digital shelf. Granted, a large percent of the abandonment is due to customers simply window shopping or comparing costs between sites, but a few corrections can be made to loop them in for a future purchase. If these online retailers paid more attention to optimizing the checkout process, they would see a sure-fire increase in conversion rates. 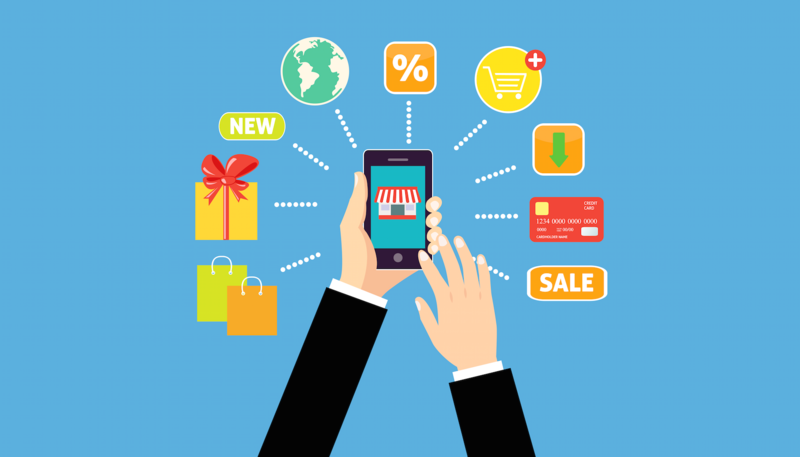 Here are a couple methods of optimization that e-commerce mobile apps can implement. Imagine a scenario in which you’re going to make a purchase in a brick and mortar retail store. However, the retailer demands to know who you are before paying. Why do they need to know? You won’t run into this situation in a physical retail store, so there’s no reason to make a user jump through another hoop in an already delicate process. This would be a justifiable reason to prompt users to register their information. Online shoppers are more likely to return to their cart and make a purchase if they’re offered a deal such as a coupon code or free shipping. A growing number of online retailers are implementing this feature and have seen it pay off particularly among younger shoppers. This can be one of the most troubling encounters for a user in the checkout process. A customer sees one price throughout the process only to see it rise due to processing and shipping fees. It’s difficult to know whether or not presenting a more expensive initial price is more endearing to a customer. However, factoring in those costs improves the integrity of a relationship between merchant and customer. 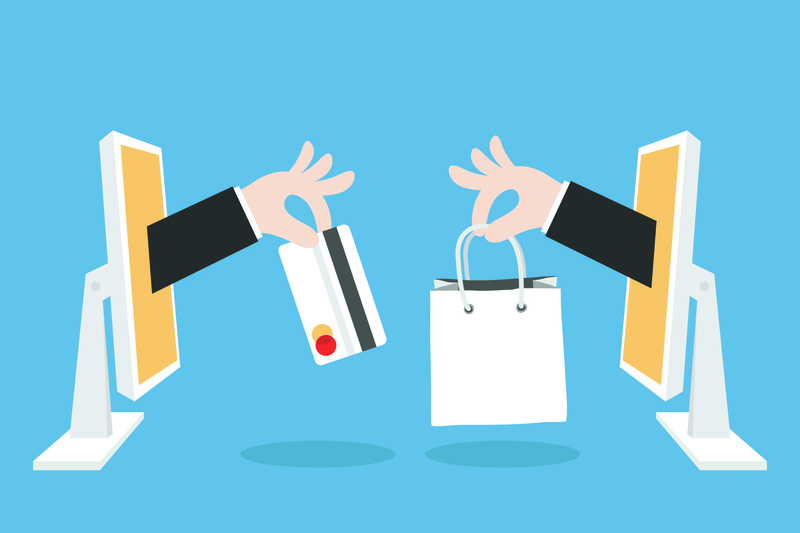 The checkout process can sometimes feel drawn-out and users become frustrated very quickly. 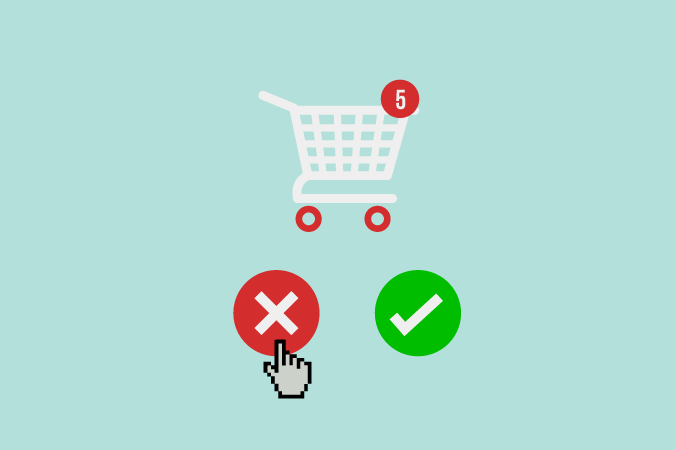 By clearly letting a user know where they are in the process, they are less likely to abandon their cart mid-checkout. Merchants don’t want a customer thinking there’s more to the process than there actually is, and a progress indicator can alleviate customers impatience. On the more technical side, the payment process and security of an ecommerce mobile app should not be overlooked. People are growing increasingly comfortable paying not only online, but with mobile apps as well. Moderate security is simply not an option for mobile apps that handle user’s private and financial information. 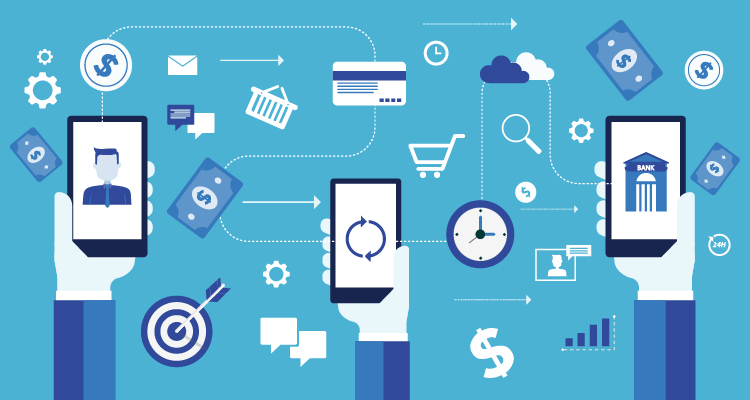 When developing an e-commerce mobile app, there are a variety of factors to consider in building the payment process and establishing strong security. The payment gateway provides a secure path between the customer and the payment processor. Some popular gateways include services such as PayPal, Braintree, Stripe and Square. The implementation of these third party softwares builds trust between customer and merchant by providing them with a secure, recognizable plug-in. The processor is responsible for sending payment data from the merchant to the issuing bank and then to the acquiring bank. The gateway is a tool that is used specifically for e-commerce as a bridge to the processor. Making a decision on what service to utilize should not be treated lightly. Whatever software you choose will play a role in determining how long that process takes. SSL stands for “Secure Sockets Layer” and is a protocol used to secure and protect transactions whether they are financial or just relating to private information. The encryption provided by SSL prevents those with malicious intent from intercepting transactions as simple as search queries or as complex as credit card information. Bottom line, SSL certificates show customers that their information is being protected and will improve the reputation of your online store. At Apple’s 2016 WWDC, they announced that all iOS apps would require a mandatory SSL before uploading to the app store. Since the SSL is now a requirement, additional assurance could come in the form of a clearly visible policy statement about security somewhere within the app. This would create more user confidence in the mobile app’s security system. With all of this financial information, e-commerce is perhaps the biggest target for cybersecurity breaches. This is exactly why variables such as payment and security should be of the highest priority when developing an e-commerce mobile app. We hope this article provided some insight into the development of e-commerce mobile apps. With a rapidly growing commerce industry, it’s a necessity to join the revolution. The time is now! Seamgen can help you design and develop an e-commerce mobile app that will satisfy your users and grow your company.